With organizational needs changing so quickly, your data center must be agile enough to address new challenges and innovative enough to incorporate new best practices – all while adhering to strict budgets. However, most proprietary, vendor-locked storage appliances simply can’t do all that. That’s why the engineers at Penguin Computing created the FrostByteTM line of storage solutions. This series of customizable, turn-key software defined storage (SDS) systems uses best-in-class hardware and optimizes for performance and reliability. These highly scalable architectures offer configurable capacity, data-protection, and simple administration for mission-critical data backup, archives, disaster recovery, and replacing older, less efficient servers. The various FrostByte configurations were purpose built to address the unique data access and storage needs of high-performance computing (HPC), big data analytics, life sciences, financial services/trading, as well as media and entertainment. To increase performance even further, the FrostByte line is available with expert support and SysAdmin-as-a-Service. To help stretch budgets, all FrostByte configurations are also available as a fully-hosted Storage-as-a-Service. BeeGFS, developed at the Fraunhofer Center for High Performance Computing in Germany and delivered by ThinkParQ GmbH, is a leading parallel file system designed specifically to deal with I/O intensive workloads in performance-critical environments. This flexible, scalable storage already powers hundreds of scientific and other organizations worldwide. BeeGFS is ideal for demanding, high-performance, high-throughput workloads found in HPC, life sciences, deep learning and cognitive computing, big data analytics, media & entertainment, financial services, oil and gas, and other data intensive analytics. BeeGFS is natively supported in the Linux kernel and runs on x86_64, OpenPOWER, ARM64, and other architectures. It supports multiple networks with dynamic failover and provides fault-tolerance with built-in replication and file system sanity checks. BeeGFS includes both command-line and graphical tools, simplifying administration and monitoring. And, with BeeGFS On Demand (BeeOND), users can gain the unique ability to create temporary, parallel file systems on a per-job basis. Red Hat Ceph Storage is an award-winning, production-ready implementation of Ceph that is optimized for large installations (typically a petabyte or greater) and offers both object and block storage, ideal for data lakes, elastic media storage, backup and recovery, and virtualization platforms, like OpenStack®. Red Hat Ceph eliminates single points of failure and protects data through dynamic data distribution. The system is both self-healing and self-managing, and this reduces administrative overhead costs. Red Hat Ceph Storage is designed to provide the data protection, reliability, and availability required for demanding, web-scale object storage and flexibility to support a wide variety of workloads and use cases. Red Hat® Gluster Storage is a fast, simple, scale-out file system, ideal for replacing the traditional network-attached storage (NAS) system. It delivers a continuous storage fabric across physical, virtual, and cloud resources so organizations can transform their big, semi-structured, and unstructured data from a burden to an asset. It is optimized for storage-intensive enterprise workloads such as archive and backup, rich media content delivery, enterprise drop-box, cloud and business applications, virtual and cloud infrastructure storage, as well as emerging workloads such as persistent storage for containerized applications and big data Hadoop workloads. The Lustre file system was originally developed at Carnegie Mellon University and is now available through lustre.org. Lustre provides a POSIX compliant interface and scales to thousands of clients, petabytes of storage, and a demonstrated performance rate of over a terabyte per second of sustained I/O bandwidth. The scalability of a Lustre reduces the need to deploy multiple, separate file systems (i.e., one for each cluster or each NFS file server). This leads to significant storage management advantages, such as removing the need to maintain multiple copies of data staged on multiple file systems. That is why Lustre is a popular choice for businesses with large data centers, including those in meteorology, simulation, oil and gas, manufacturing, and finance. Is HPC Cloud Right for You? "The price (of POD) was every bit as advertised and that undersold the other service we were using by 50%. That is NOT a small number. The servers proved more powerful than our other out-sourced analysis company, and (POD) was overall easier to use." "We are pleased to work with Penguin Computing to enable users to run their applications faster and solve larger, more intricate problems without increasing the IT cost associated with maintaining high-performance capacity." "We appreciate the consistent quality of the cores that are being made available to us by Penguin Computing, enabling us flexibility in terms of volume load. The interactive framework is convenient to implement and allows us to use POD not only for solving, but also for pre- and post-processing." "I am really glad we made the choice to go with your service. Your tech support guys have been really amazing and I know we would have had a lot more headaches with any other services we were considering." 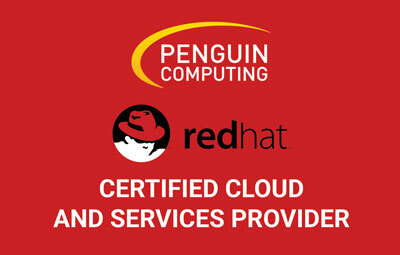 "Penguin's HPC expertise and knowledge of LS-DYNA is outstanding. POD is an easy and cost effective cloud bursting solution." "Penguin has gone out of its way many times to accommodate our requests for technical help and to meet our fast-changing needs." John Ristevski Co-CEO Earthmine, Inc.